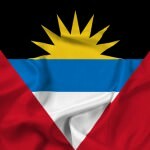 Citizenship of Antigua & Barbuda by Investment offers numerous other benefits other than enjoying the right to visit this beautiful Caribbean country as many times as you want without any visa or residency restrictions. Investment in National Development Fund. In addition to the investment requirements of the selected investment option, the investor will be required to pay the following fees. The passport is issued for a period of five years and can be renewed upon submitting proof of visiting Antigua for a period of at least 35 days. The tropical islands of Antigua and Barbuda are situated in the center of the Caribbean.The country is located about a thousand miles to the east of Jamaica and about five hundred miles from Trinidad on the coast of South America. Antigua has an area of 108 square miles and Barbuda is about 62 square miles in size with the former having a population of 80,000 while the latter having a population of around 1,300. The gentle trade winds make Antigua & Barbuda a relaxed and pleasurable destination.